Silhouette trace of human meditating in lotus position. 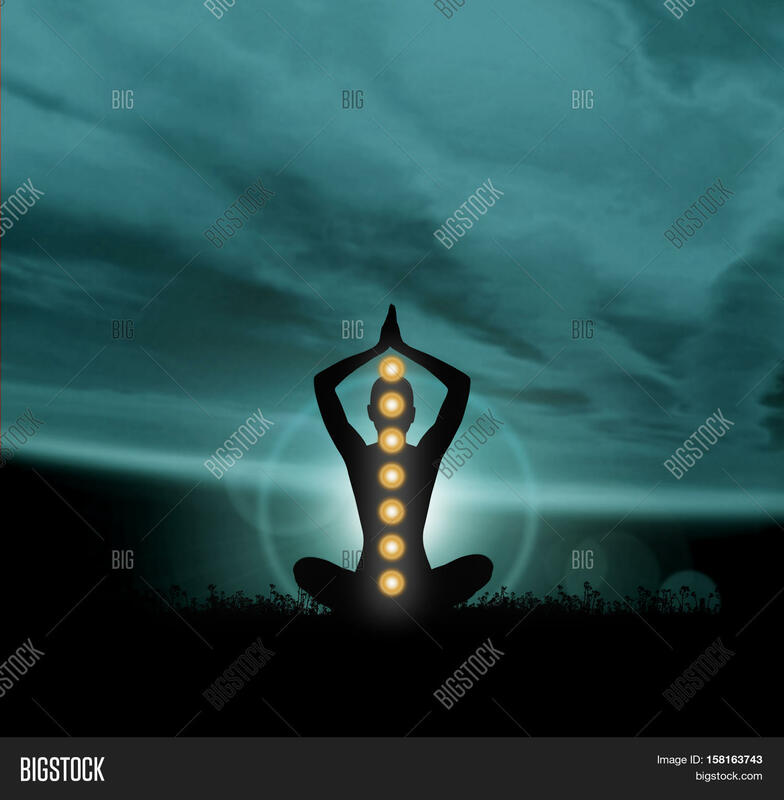 Colored chakra lights over body. 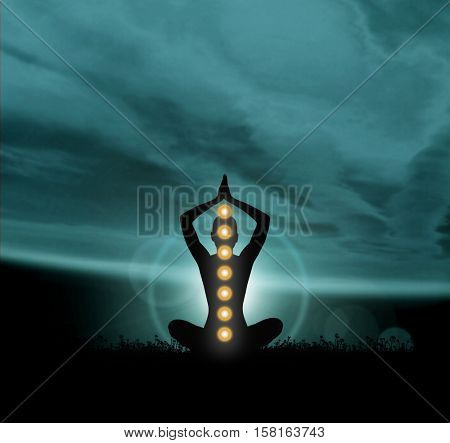 Yoga, zen, Buddhism, recovery, religion, healthcare and wellbeing concept.